Tips and Tricks for Formatting Your Thesis: Little Things Mean A Lot! Are you worried about getting your thesis/dissertation into the format required by the Faculty of Graduate Studies? Would you like to know more about how to use the formatting features in Microsoft Word? Research Commons staff will help you with your questions about the nuts and bolts of formatting: tables of contents, page layout, numbering, headings, front matter, and more! As well, find out more about the resources that are available to help you in writing your thesis/dissertation. Graduate students at any stage of the writing process are welcome; some prior knowledge of Microsoft Word will be helpful. Have specific questions you think would be best answered in a one-on-one session? 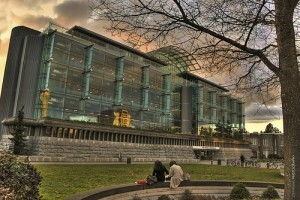 See our Consultations page to book a session: http://koerner.library.ubc.ca/services/research-commons/. Need to manage large numbers of references and citations as part of your research, teaching or administrative work? Citation management tools are for you. These tools provide a simple way to store, organize and retrieve your citations in an effective manner, and can also help you in formatting in-text citations and bibliographies in your work. Sign up for a tool specific hands-on workshop about the core concepts of citation management and detailed instruction for use of either Zotero, ProQuest Flow, or Mendeley. Friday, January 16th at 11:00am – 1:00pm. Are you new to citation management tools entirely, or do you have advanced-user questions? See our Consultations page to book a one-on-one session: http://koerner.library.ubc.ca/services/research-commons/. Note: NVivo is not free software; a student subscription can be purchased from QSR International, and a 30-day trial subscription is also available. (UBC faculty or staff members can get an NVivo license through UBC IT.) NVivo is not currently available on UBC Library computers. Do you wonder what SPSS is and how it can be useful to help you manage and analyze your data? Would you like to learn how to work with SPSS just by clicking a few keys? Enroll in our workshop and let us help you learn the basics! Do you know how to edit and organize your data using an effective data management software? Do you want to work with user-friendly software without going through a hassle of writing code? SPSS can help you accomplish this for you with a few clicks! Attend this workshop and learn how to manage your data fast and effectively. Do you have trouble summarizing your data? Do you want to analyze your data with t-test, ANOVA, Pearson-test, etc. using SPSS? Do you have trouble graphing and presenting your data with SPSS? Well, we can help you with all of these questions. Enroll in this workshop and learn how to analyze your data hassle-free! Regression analysis is a statistical process for estimating the relationships among variables. We can use regression to make quantitative predictions of one variable from the values of another. Do you wonder how to do linear and logistic regression analysis with SPSS? Do you want to learn about simple and multivariate regression modeling? Register for the SPSS Regression workshop to get a sense of it all! Have you been to our linear regression workshop? If you have, it is time to learn about logistic regression. Logistic regression measures the relationship between a categorical dependent variable and one or more independent variables. These variables, which can either be continuous or dichotomous variables, use probability scores as predicted values of the dependent variable. If you have not had a chance to go through the linear regression workshop, don’t worry, we will start with a review and then jump into logistic regression. You will learn when and how to use the logistic regression modeling in SPSS and how to interpret the output. Survival analysis is for everyone in the field of Medicine, Engineering, Economics, and even Sociology. Survival analysis deals with the analysis of time duration to until one or more events happen, such as the death of organisms, failure in mechanical systems, etc. This topic is called reliability analysis in engineering, duration analysis in economics, or event history analysis in sociology. We offer support for survival analysis using SPSS. Survival analysis in medicine, deals with how long a patient has to survive under certain conditions or show an event such as death. You are able to answer questions like: what is the proportion of a population which will survive past a certain time? Of those that survive, at what rate will they die or fail? Can multiple causes of death or failure be taken into account? How do particular independent variables or characteristics increase or decrease the probability of survival? With a torrid past that haunts him, a movie-theater director is hired to hunt for the only known print of a film so notorious that its single screening caused the viewers to become homicidally insane. Part of the “Masters of Horror” series, Season One. You’ve finally finished your research and now you’re looking to publish. Just what do you need to know about copyright to make sure your work has the protections you need? This workshop will cover what authors and creators need to know about copyright, giving you a solid knowledge base to build from. Are you a graduate student and new to UBC? Would you like to know more about what the library has to offer? This basic workshop will provide you with an overview of some of the key services and resources available to you from the library. This session is appropriate for students conducting literature reviews in any discipline. … what is a literature review? … resources to help you keep track of your research. There will be plenty of hands-on time for searching, and assistance from the two presenting librarians. Keeping current with new research in your field can be a challenge. In this workshop, you’ll learn strategies and tools to help you stay up-to-date with the published literature. We’ll cover: How to create saved search alerts for new articles and dissertations on your topic How to set up Table of Contents alerts for your favourite journals How to find out when a key article has been cited by someone else How to use social media tools such as blogs and Twitter to hear the buzz around new research Please bring your own laptop. Sign up for a tool specific hands-on workshop about the core concepts of citation management and detailed instruction for use of either RefWorks, Zotero, or Mendeley. Do you wonder what SPSS is and how it can be useful to manage and analyze your data? Would you like to learn how to work with SPSS just by clicking a few keys? Let us help you learn the basics. Do you know how to edit your data using effective data management software? Do you want to work with user-friendly software without going through a hassle of writing code? SPSS can do this for you with a few clicks. Attend this workshop and learn how to manage your data fast. Staff from the Scholarly Communications & Copyright Office will be on-hand to help you work through your copyright and library course reserves questions one-on-one. Bring your reading lists, presentation slides, articles, websites, theses and dissertations, or other work you need guidance on. Registration is not required. Held in conjunction with the weekly Connect Drop-in Clinic. Tue, June 10, 2014 11:00 AM – 12:00 PM WALTER C. KOERNER LIBRARY. Curious about managing copyright in academic publishing, locating funder open access policies, and the different options available for open access publishing? Come to this workshop to learn about these topics and more! Wed, June 18, 2014 12:00 PM – 1:00 PM WALTER C. KOERNER LIBRARY. This session will provide information on: using copyrighted materials in conference presentations, conference proceedings and prior publication, and copyright basics for conference organizers. Tue, June 24, 2014 11:00 AM – 12:00 PM WALTER C. KOERNER LIBRARY. Have questions about screening films in class, distributing readings to your students, or using someone else’s images in your presentation slides or online course pages? What about your students’ use of copyrighted materials in their assignments and online postings? Come to this workshop to get answers to these questions and more! No previous knowledge of SPSS is required for the first workshop. The RC is excited to announce a new consultation model for the Winter 2014 Term! We will be holding consistent weekly consultation hours on Tuesdays from 4:00pm – 7:00pm, Wednesdays from 2:30pm-5:30pm, and Fridays from 10:00am-1:00pm in Koerner Library, Room 218A. One-on-one Thesis Formatting, Citation Management and SPSS consultations will all be available at these times. All services (Thesis Formatting, Citation Management, and SPSS) are now available for one-on-one consultations during these times. No more setting up an account to book a consultation. Request a consultation online by filling out our web form. You can register for an upcoming thesis formatting workshop here. Sign up for a tool specific hands-on workshop about the core concepts of citation management and detailed instruction for use of either RefWorks, Zotero, or Mendeley here. You can register for an upcoming SPSS workshop here. FIREtalk: Creativity and Innovation, Wednesday January 29th 4-6 pm. Where do creative and novel ideas come from? Can tools or techniques stimulate creativity and innovation? Are creative processes the same across disciplines? Submit to present and share your approach towards creativity and innovation.